Munich - FC Bayern Munich midfielder has signed a two-year extension to his contract, keeping him at the club until 30 June 2017. The 23-year-old's previous deal was valid until the end of the 2014/15 season, but neither party had any hesitation in agreeing to prolong his stay with the Bavarian giants. "Thomas Müller is a homegrown FC Bayern player," said chairman of the board and former Bayern great Karl-Heinz Rummenigge. "He was trained here and has developed into a very important player. We're very happy to have extended his contract by two years. 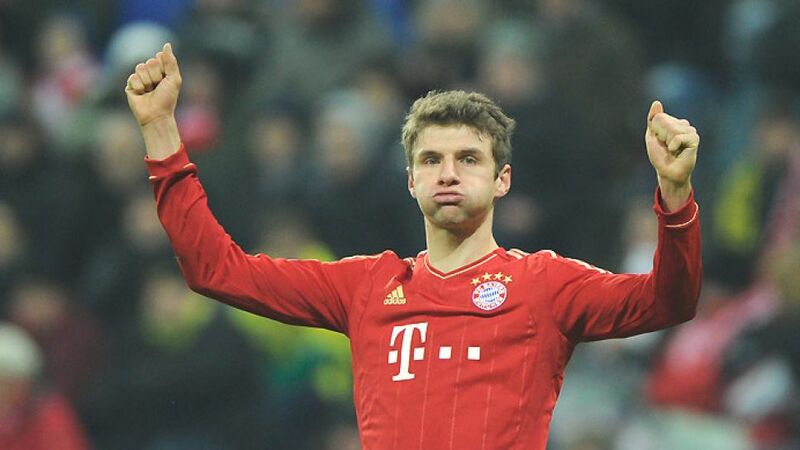 It's further proof of how much Thomas Müller is a part of FC Bayern Munich." The attacking midfielder, who has 38 international caps for Germany, is currently enjoying the form of his life, with nine Bundesliga goals and seven assists to his name already this term.